Transitional Elegance Kitchen Featured by Sub-Zero and Wolf – Design Your Lifestyle. This transitional kitchen design is so stunning, Sub-Zero and Wolf call it an “inspiration” on their official website. From the companies that transformed the American kitchen, that’s saying something! 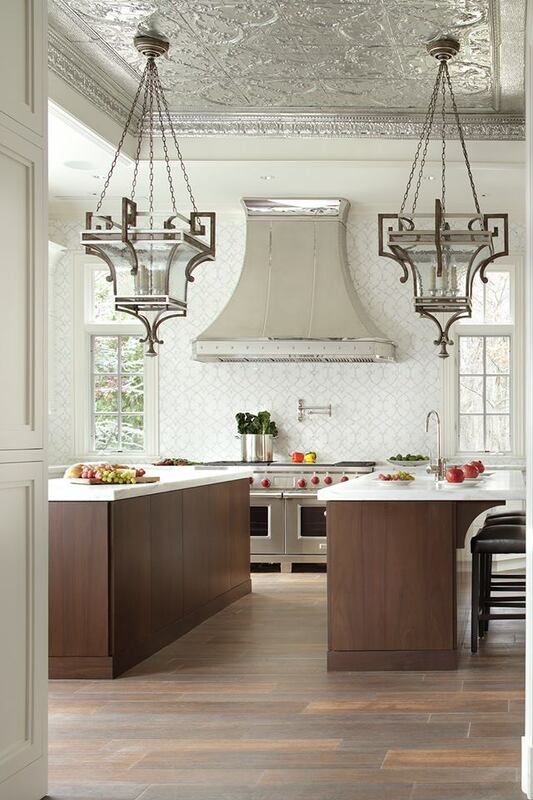 The kitchen, dubbed “Transitional Elegance”, belongs to owner and co-designer Julie Ferrara. It was designed by Peter Salerno Inc. of New Jersey (winners of the most national kitchen and bath design awards since 2002), and features a stunning array of appliances by Sub-Zero and Wolf. 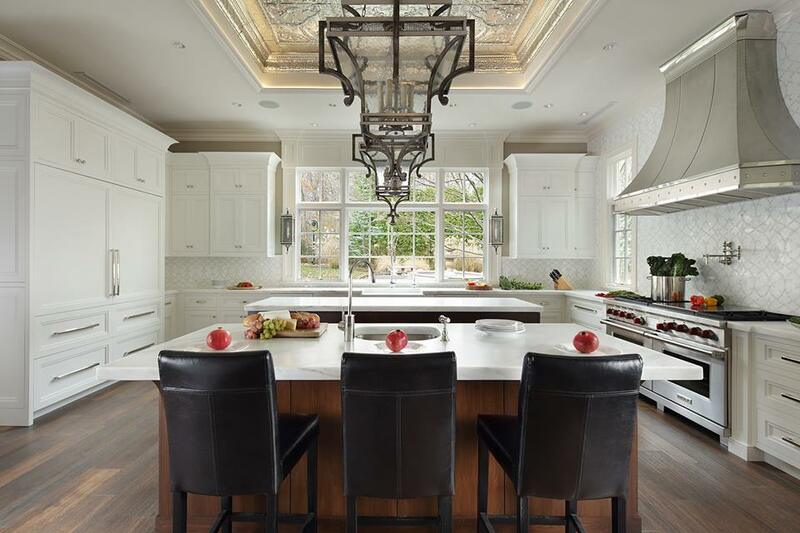 A recent Sub-Zero and Wolf article features Peter Salerno Inc.’s award-winning transitional kitchen. Sub-Zero and Wolf refer to the kitchen as the “soul of the home”, and it’s no accident their appliances found their way into such a stunning transitional kitchen. Clean and inviting, this open design beckons guests into the kitchen space with tons of seating at its dual booked-match walnut islands. The ceiling serves as a “fifth wall” in this transitional kitchen design, with audacious statement lighting and a lit recessed silver tin section. Julie Ferrara’s original traditional kitchen design featured gorgeous archways which were not lost in the updated design (as per her vision and request). As a result, the primary archway provides the frame inside which your first view of the kitchen is “painted”. That view includes a sleek, world-class exhaust hood and clean marble backsplash – not to mention the latest in Sub-Zero and Wolf appliances. Since both clients are passionate cooks, the kitchen needed to have the best cooking and refrigeration products. The use of Sub-Zero and Wolf products – 60” range, convection steam oven and warming drawer, integrated refrigerator and freezer – allowed the designer to have both form and high-quality function. Since 1997, Peter Salerno Inc. has operated with one creed in mind: “it’s all about the extraordinary”. The combination of Peter Salerno’s years of business and industry knowledge with his passion for art and architecture has made him one of the most sought-after designers in the industry. Now, Peter Salerno Inc. stands alone as the most award-winning custom kitchen and bath design firm in North America in the 21st century. ← Our Favorite Homemade Pumpkin Spice Latte Recipe!